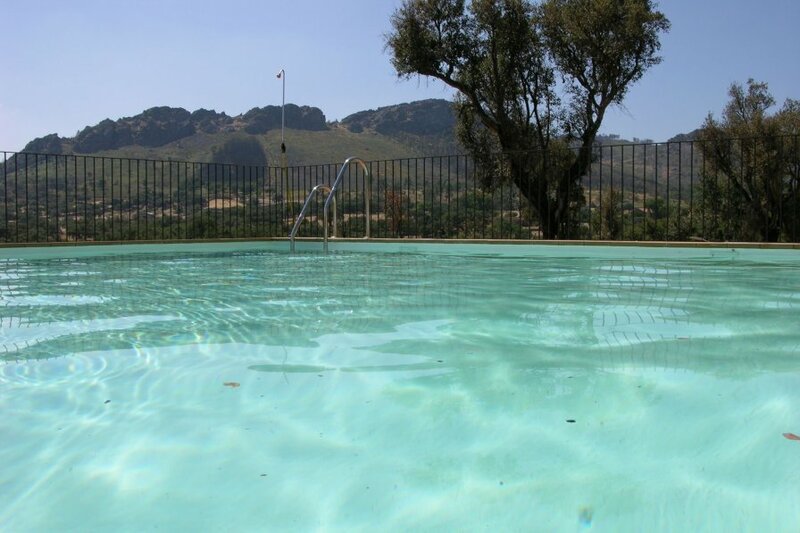 Holiday home, located on a 5 hectare estate in the breathtaking countryside around Campiña de Valencia de Alcántara, nestled between the Sierra de San Pedro and the Sierra de San Mamede National Park in Portugal. Just 5 kilometres from the Portuguese border. Lime and stone construction, with wooden and slate interior flooring and large windows affording wonderful views over the mountains and Puerto de Aguas Claras. Boasting a good sized garden and communal swimming pool, which you share with 4 other holiday homes.